Before I jump into the world of disc golf, I wanted to pay my respects to one of the founders of disc golf, “Steady Ed” Headrick. Which I am doing now. Disc golf was invented in the early 1900’s. Before they invented the disc golf basket, they used poles, trees, and trash cans as targets. The basket came to life when “Steady Ed” Headrick became tired of arguing over how close a disc had to be to a pole to count. That’s where the chains began to be added to the pole. I want to point out that there are many variations of Frisbee and disc golf. Steady Ed was the first one to change the disc to have the rim, length, and weight differential to get that accurate measurement for the basket. Disc golf is a sport, where the objective is to just put the disc in the basket with the lowest amount of throws. Example: If you see Par 3, that means if you need three throws to get your disc in a basket, it won’t add to your score. If you throw 4, it adds 1 to your score. If you got it in two, your score will be -1. The object of the game is to get the lowest score possible. It sounds easy, but it is not. You have trees, water, poles, mandatory throws, other obstacles in the way. 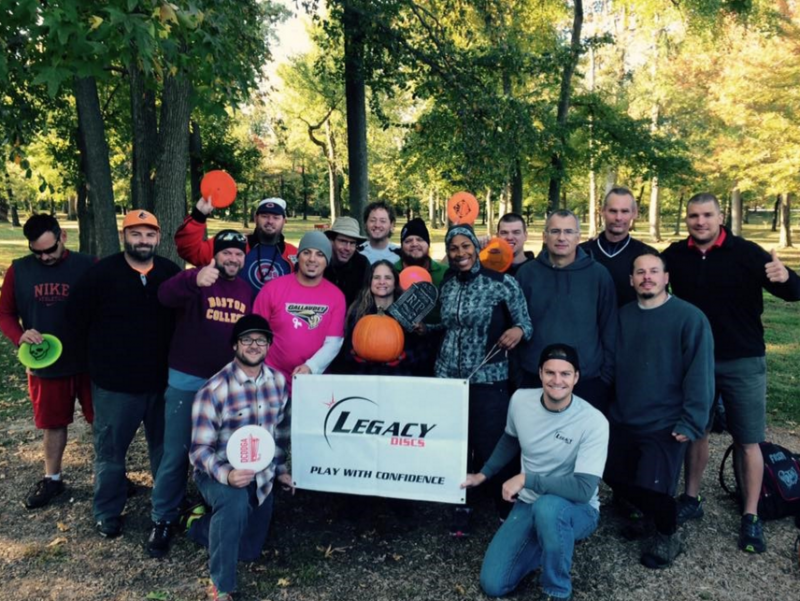 Disc golf is one of the fastest growing sports today, and even has several deaf clubs. For example, the DCDDGA (DC Deaf Disc Golf Association.) Ricky Cornish III is the current president, along with Blake Herbold as Vice-president. They host a big deaf tournament once a year.